The town of Torno, composed of the villages of Rasina, Perlasca, Montepiatto and Piazzaga, is situated upon a headland, from where it looks down over the south-western end of lake Como. 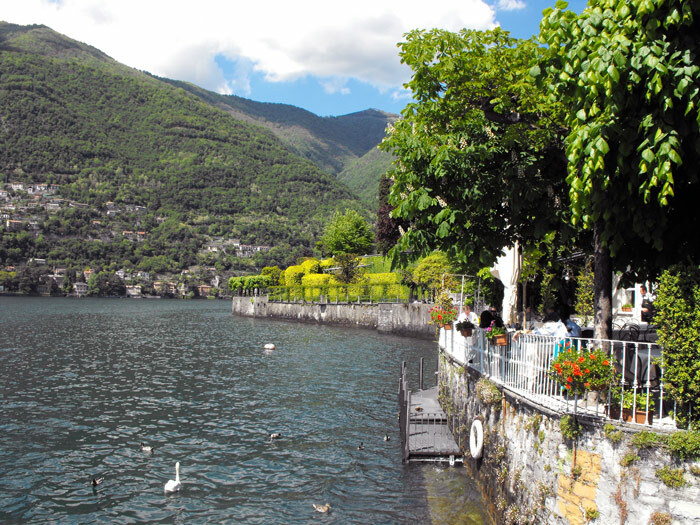 Facing it, on the other side of the lake, is the town of Moltrasio, while behind it rise the slopes of Monte Boletto (1236 m). 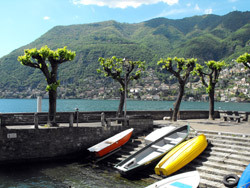 Traces of pre-Roman settlements have been found in the area, as evidenced by the discovery of massi avelli (rocks that were dug into for burial purposes) in the woods around Piazzaga. The middle ages saw Torno prosper. 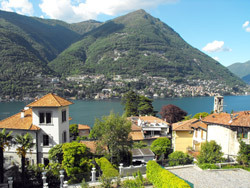 Local production of wool, textiles, and tapestries flourished, placing the town in direct competition with nearby Como. 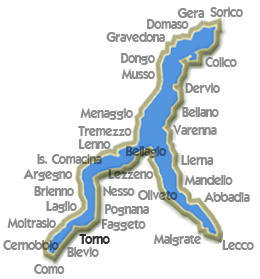 In 1522, following a drawn-out siege, Como succeeded in destroying Torno’s fortifications and wrought devastation on the small town. 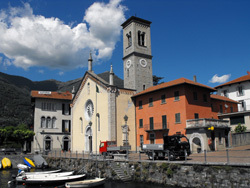 Two churches built before the inevitable decline brought about by these dramatic events - Santa Tecla, by the side of the lake, and San Giovanni in the town’s centre - still survive today and are among the most beautiful of Lake Como’s Christian monuments. 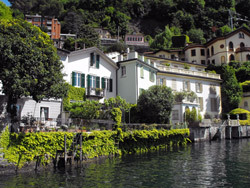 Its splendid position has always made Torno a favourite with tourists and holidaymakers alike, many of whom come to visit its famous villas. 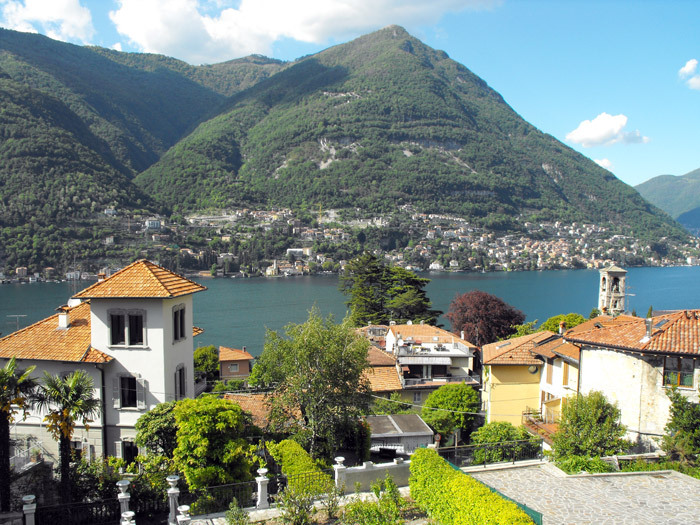 These include the 16th century Villa Pliniana, Villa Taverna with its magnificent gardens, and Villa Mia, owned now by the royal family of Saudi Arabia, which has seen famous guests from all over the world. 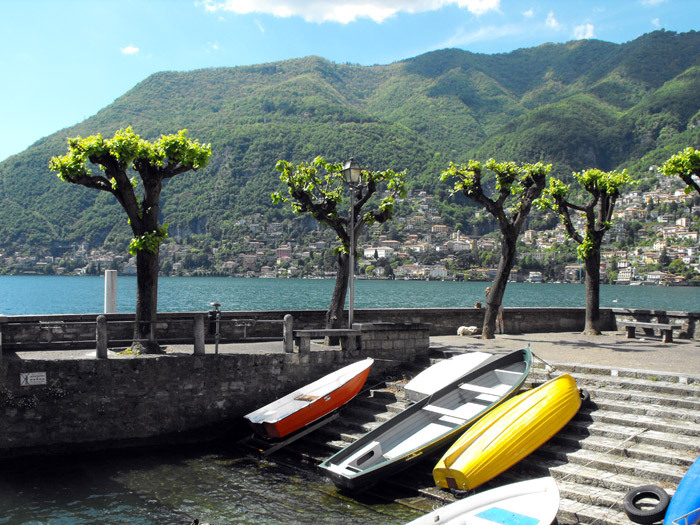 Writer and poet Herman Hesse was so taken by Torno as his boat sailed past its shores that he wrote about it in his essay ‘A Walk Around Lake Como’ (‘Spaziergang am Comer See’). 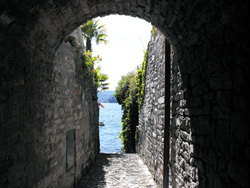 Visitors may enjoy exploring the path that leads out from Torno up to Montepiatto. 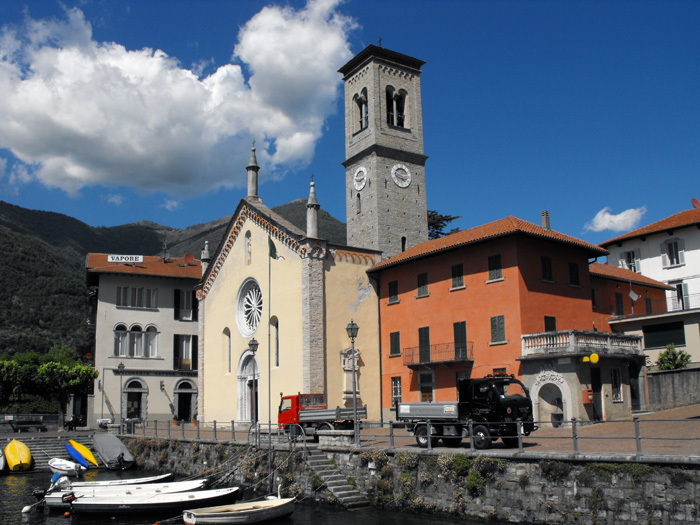 This forty-five minute walk brings us to the village of Montepiatto itself, with its church dedicated to Santa Elisabetta, as well as to the nearby woods which contain the rock formation known as the Pietra Pendula or hanging rock - a boulder resting on a pedestal. 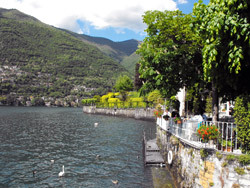 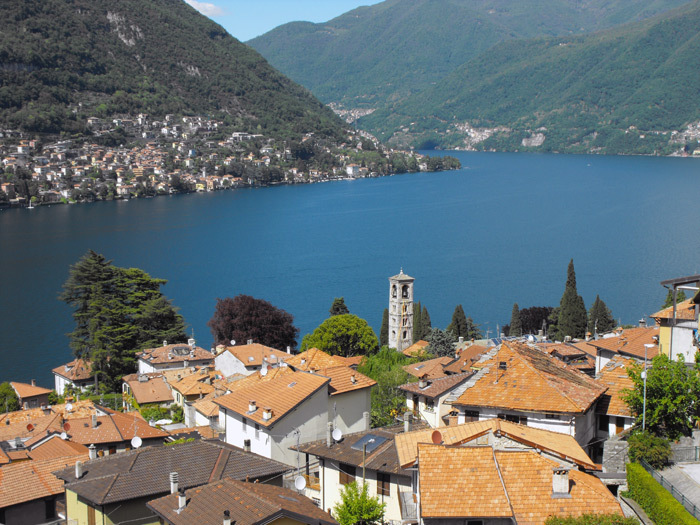 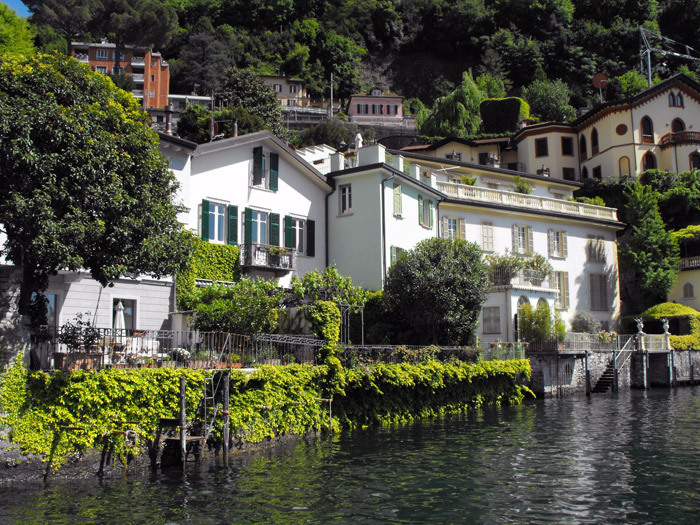 The town of Blevio is made up of seven hamlets, spread across the slopes of Monte Boletto to the shores of Lake Como. 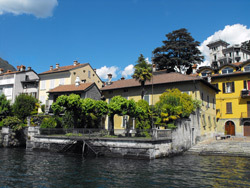 For centuries Blevio has been residential, as the amazing villas spread across the territory testify.